Mike Winkelmann, a.k.a. Beeple, shares how his Everydays walked the runway at Paris Fashion Week. If there can be such a thing as a real-life CGI superhero, his name is Mike Winkelmann. Better known as Beeple, Winkelmann is, on the one hand, a nice, nerdy Midwestern guy who lives in Appleton, Wisconsin with his wife and two kids. He’s also a prolific and internationally acclaimed artist, known for using Cinema 4D to create wide-ranging digital art, including short films as well as VJ loops and music videos for high-profile musicians and DJs, like Katy Perry, Justin Bieber, deadmau5, Skrillex, Eminem, Avicii, Tiësto, One Direction and many, many others. Though funny, self-deprecating Mike Winkelmann wears “garbage clothes,” he’s got nothing against haute couture. Such profound duality is bound to produce some extraordinary, and maybe even odd opportunities. 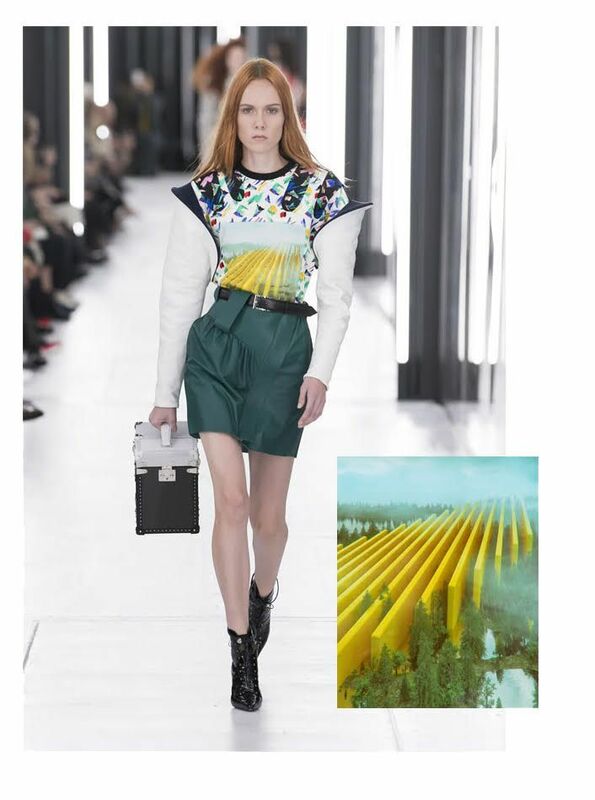 Like this summer, when Winkelmann was contacted by Louis Vuitton artistic director, Florent Buonomano, who said he’d seen some of his work on Instagram and liked it. 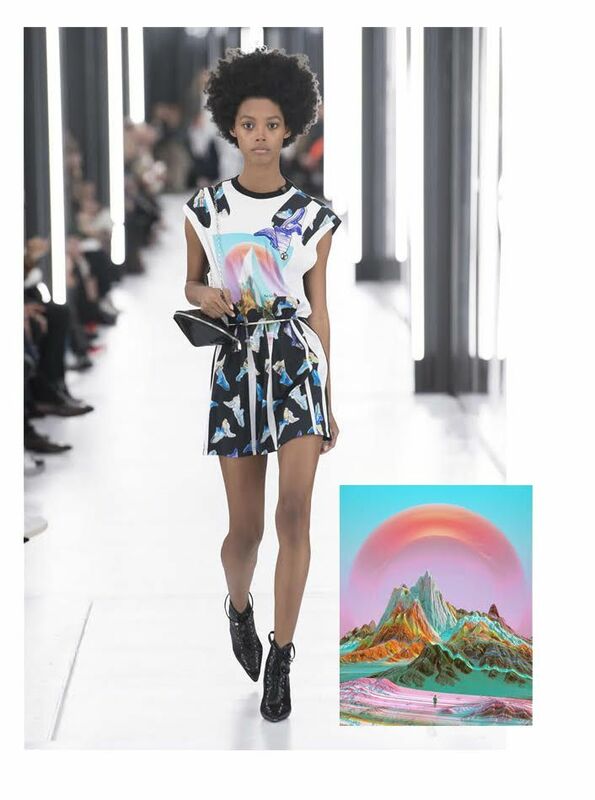 Apparently, Louis Vuitton creative director, Nicolas Ghesquière, was thinking of using some futuristic landscapes in the fashion house’s spring/summer 2019 Ready-to-Wear Collection. Might it be possible to use some of Winkelmann’s Everydays? Mike Winkelmann’s abstract Everyday was barely changed for this piece, save for the addition of some subtle Louis Vuitton branding. Someone else might have thought that were being punked. But Winkelmann rolled with the idea, green lighting Buonomano’s request, while admittedly wondering how in the world they would use his art on their clothes. Four months later, nine digital illustrations from Winkelmann’s Everydays series —a collection of artwork he has been adding something new to every day for 12 years—were featured on 13 of the 45 pieces in the Louis Vuitton collection at Paris Fashion Week at the Louvre. 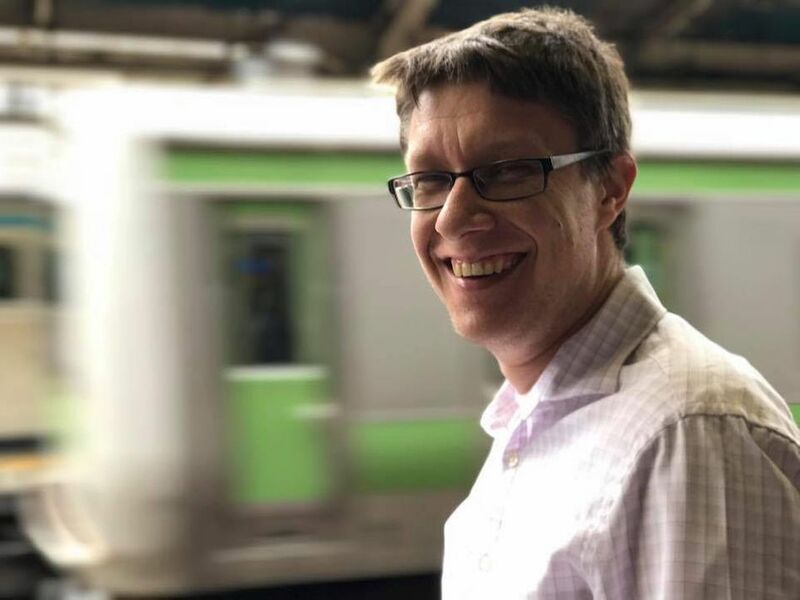 Here’s Winkelmann’s story of how a guy who favors sensible shirts and slacks ended up at Paris Fashion Week. Q: So, what did Florent Buonomano say he was looking for when he got in touch? M.W. : At first he said they would just like to use some of my pictures on their clothes. I was thinking, well, I guess I can see that, assuming maybe they would pick some abstract ones. 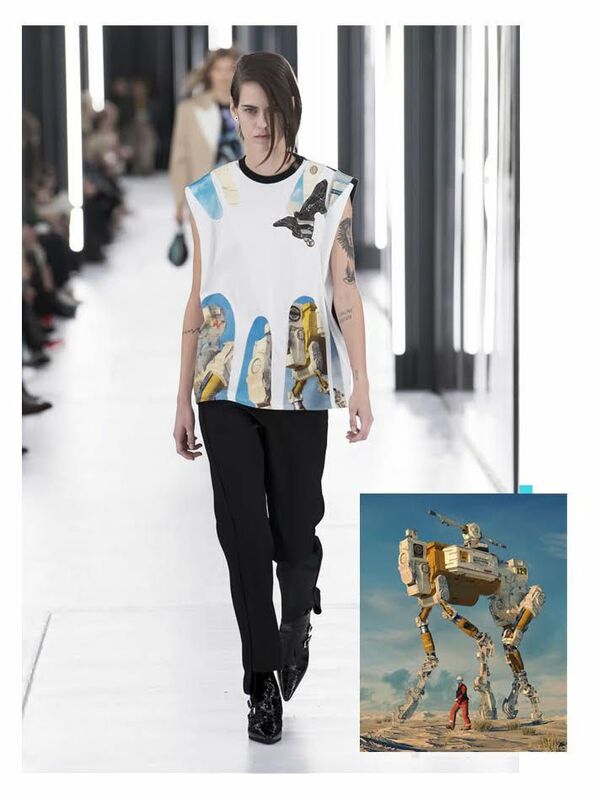 But then they picked a bunch of robots and stuff, so I was thinking, ‘Hey, how are you going to put a robot on a women’s $2,000 shirt?’ But, you, know, I don’t know anything about fashion. I wear garbage clothes, so all of this was just so foreign to me. Sometimes with his Everydays Winkelmann’s goal is just to make something look cool, like these colorful mountains and pink sky. Q: How did the process work? M.W. : They wanted sci-fi stuff, mostly, and they chose nine Everydays that were futuristic looking, but not in a dystopian-bummer way. They liked pictures that were more weird and techy so it’s the future, but the world doesn’t seem like a total hell hole or anything. That’d be a bit of a downer to put on clothes. The process went really smoothly. They mostly asked me to make small adjustments, like adding a Louis Vuitton logo to some of them. Other times I combined a couple of Everydays, or just adjusted the lighting or color or something. Louis Vuitton’s logo replaced McDonald’s in this Everyday in which Winkelmann imagined what the burger chain might look like in 200 years. Q: So did you even know how your Everydays would be used? M.W. : No, I had no idea. I actually thought they might not end up using them at all. So when my wife and I went to the show at the Louvre, which was just an insane experience, we half expected to not see my work at all. But then a model came out wearing one of my Everydays on her shirt and we were like, ‘Oh My God!’ It was crazy surreal. One model after the next came out wearing something I’d made. 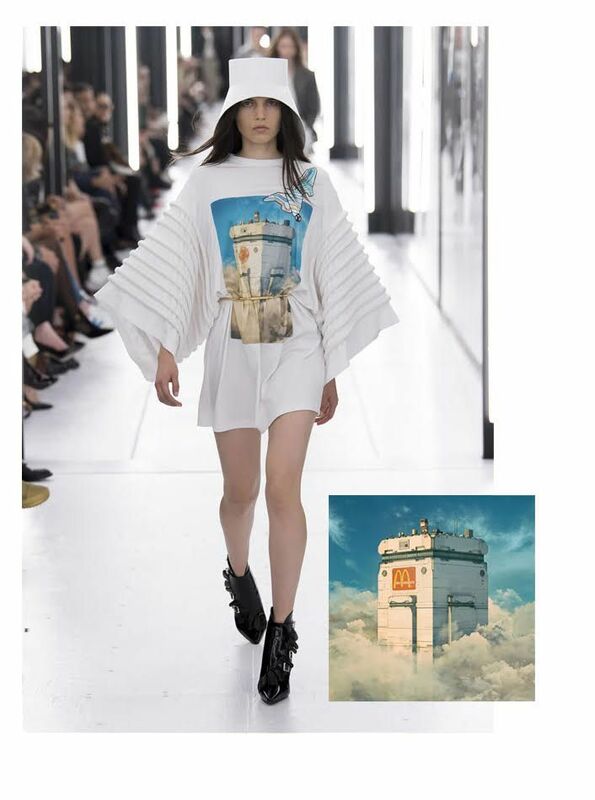 I was just freaking out, and people next to us were probably thinking, ‘What’s that guy even talking about?’ I mean, it was never on my radar that Louis Vuitton might someday take some of my giant robots and put them on some really expensive pieces of clothing. This definitely stands out as one of the coolest, or most interesting, ways I’ve ever seen my work used.